Since the time of the Civil War, baseball has played an important role in Buffalo, New York. Though most of the area's baseball pioneers, including Ollie Carnegie and Luke Easter, are gone, they live on in the memories of fans, and some of their names have even graced the facades of facilities, like Offermann Stadium. 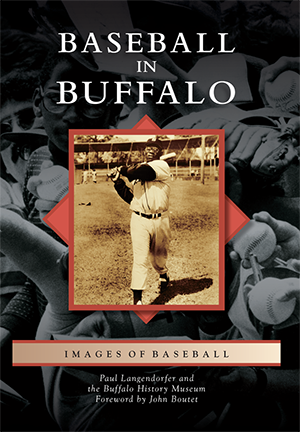 In this book, Paul Langendorfer and the Buffalo History Museum have included each inning of the Queen City's rich baseball heritage, from the 19th-century Niagaras and the 1913-1915 Federal League to the Buffalo Bisons.